What Exactly is Life Cover? Only two things in life are inevitable: death and taxes. Or so the saying goes. Most people find talking about getting life cover a morbid topic, almost as if it’s inviting death. Unfortunately, the very act of living invites death whether you have life cover or not. Accidents can and will happen anywhere. If you haven’t made provision for your family’s life after your death, it could be disastrous. The devastation of losing you will be compounded by the financial chaos in the aftermath of your death. Make provision to ensure that this is not the case by taking out a life cover policy. So, you’ve got the point… you need Life cover. But what exactly is it? 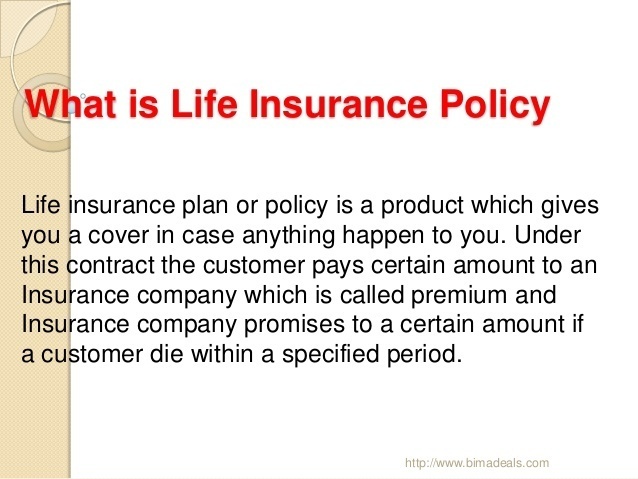 Life cover or life insurance is a contract between the policyholder and an insurance company. The agreement boils down to this: you pay a premium each month. Should the insured person die, a lump sum is paid out to a person of your choosing. By signing the papers on a policy, this is what you are agreeing to. In some cases, a policy pay-out can be initiated should the insured person become terminally ill. This is done to help pay the medical bills incurred at this time. The policyholder and insured person are not necessarily the same person. You can take out a policy on another person’s life such as a spouse or business partner. Many insurance policies have specific exclusions in them. This means that the policy won’t pay out for certain circumstances of death. This can include circumstances such as suicide. Policies will also not pay out if the insurer can prove fraud in the policy application. This includes failing to disclose medical conditions that could cause death. Read the fine print on a policy before you sign. Even better, obtain your policy through a reputable financial adviser who can explain all the ins and outs before you commit yourself. Be upfront about your medical history. It could mean a higher premium, but it would guarantee a pay-out. Otherwise, you’ll spend years paying premiums, but your beneficiaries won’t receive any money. Life cover. This is a policy that pays out a lump sum to beneficiaries in the event of death. Dreaded diseases cover. This provides for a pay-out in the event of diagnosis with a disease that will result in death such as cancer. Disability cover. This pays out a lump sum should the insured person becomes disabled as the result of an accident. It is possible to obtain a policy that covers all the above. Before deciding on a policy, consider the benefits it offers. Determine which ones meet your needs before taking out a policy. Premiums for policies that cover all three aspects may be higher, but they do provide peace of mind as they cover many eventualities. Bear in mind that insurance companies are exactly that: companies. Like any other organization, their goal is to make a profit. That’s not to say they are reluctant to pay out benefits, but they tend to do some investigating before they do so. As the policyholder, you get to decide on the lump sum payable upon the insured person’s death, disability, or diagnosis with a dreaded disease. A couple of million may sound like a good figure. But will it cover outstanding debts? Will it provide for dependents’ needs such as day-to-day living and education? If not, the insured person’s death is going to have a profound effect on the future of their loved ones. You cannot afford to be without life cover if you want to leave your dependents well-cared for after your death. Rather than relying solely on the television adverts we’re bombarded with, use the services of a financial adviser. If it sounds too good to be true, it probably is. Copyright text 2019 by Get Life Insurance.